You're checking out the social bucket of Syed Talat Hussain. 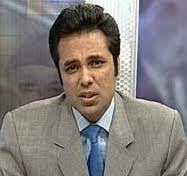 Find a collection of websites, images, videos, news links and tweets of Syed Talat Hussain all in one place. Contribute and add what you can, then share it with your friends and followers. 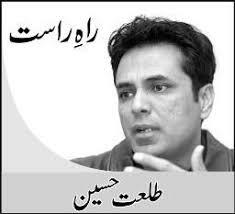 Syed Talat Hussain (as Journalist) is the Journalist. 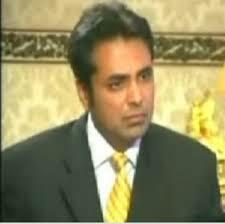 Syed Talat Hussain (as Journalist) is well-known member of Aaj Television. Prominent journalist and TV host Talat Hussain has joined DawnNews, awhere he will be hosting a primetime news and current affairs show from mid-November. Mr Hussain brings with him a vast experience in the field of journalism. “It is a privilege for me to join DawnNews,” he said. The Editor of DawnNews, Mubashir Zaidi, has welcomed Mr Hussain’s decision to join the channel. “We have no doubt that the joining of Talat will boost the channel’s profile.” Mr Hussain has been hosting a popular news programme, “Live with Talat”, on Aaj TV. He has travelled widely and has covered major events. He has served as Editor of The News, worked for CNN and other international news channels, and written reports for the Los Angeles Times and other foreign publications. REFERENCE: Talat joins Dawn News Monday, 25 Oct, 2010 .